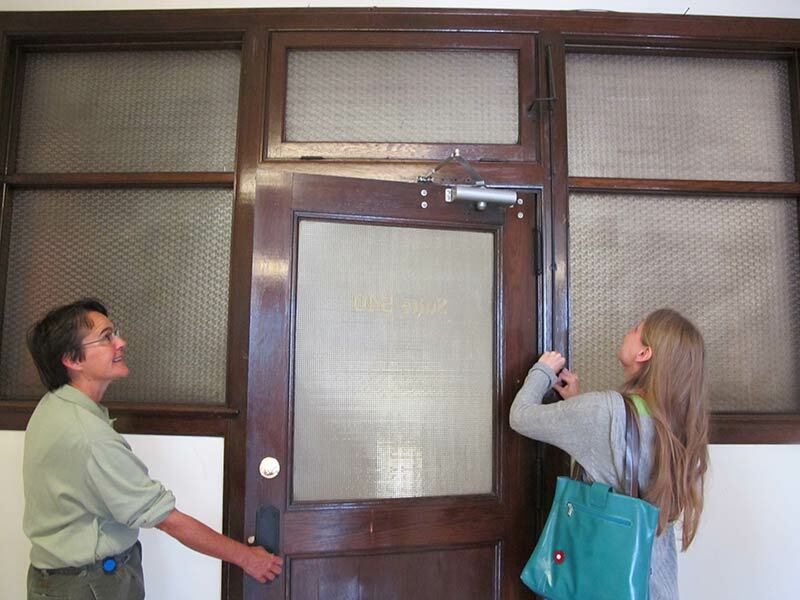 Recommended The wall and door glazing ensures that the corridor receives natural daylight and the operable transom helps air to circulate in this historic office building. 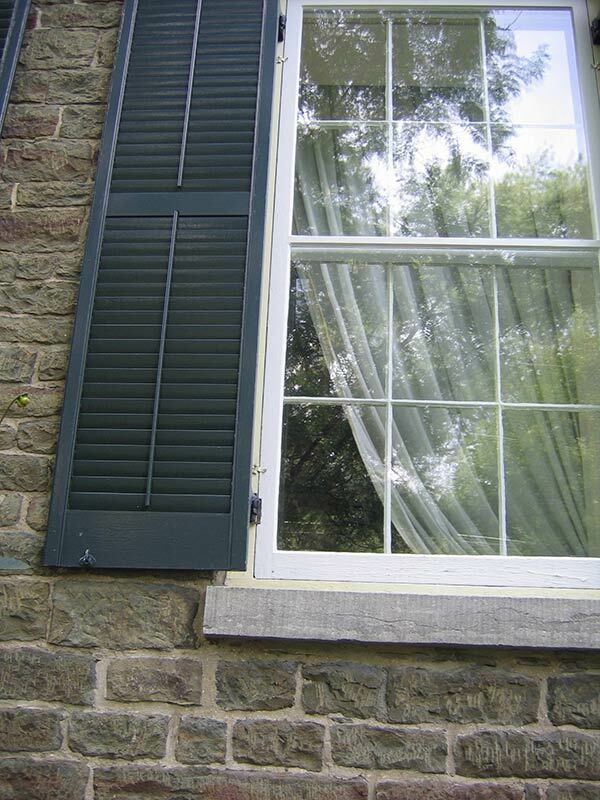 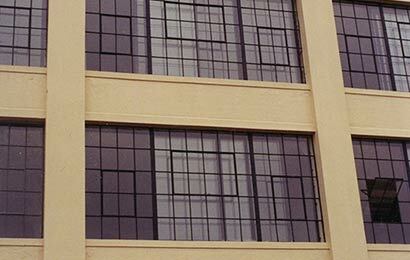 Recommended Historic exterior storm windows have been well maintained and continue to perform as intended. 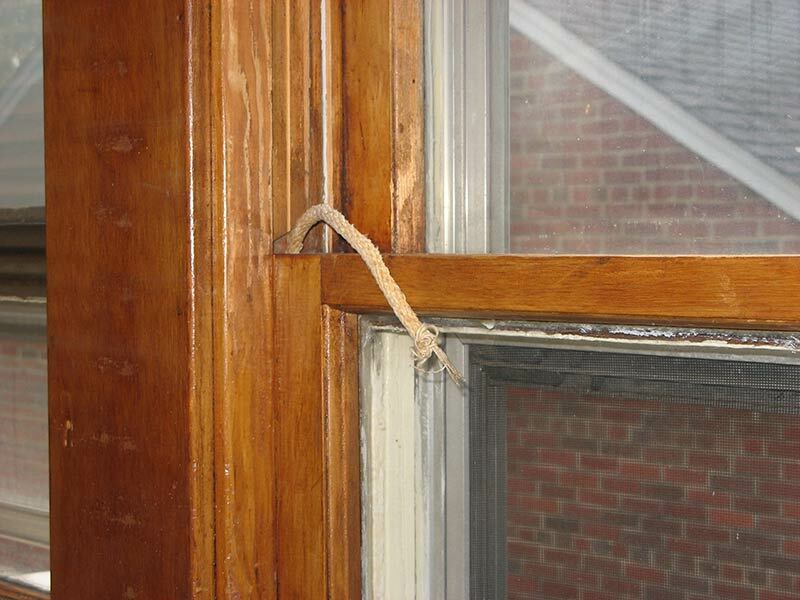 Not Recommended A broken sash cord can be repaired easily and does not justify replacement of the window. 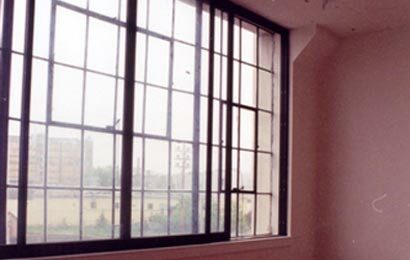 Recommended These exterior storm windows match the pane configuration of the historic interior windows in a residence and in a multi-story hotel building. 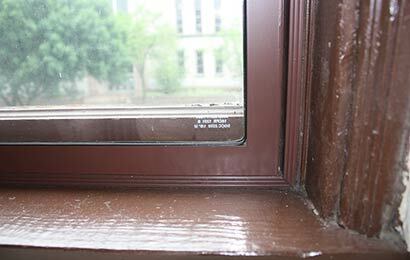 Recommended The new metal interior storm window was carefully matched to the exterior window as part of the rehabilitation of this historic armory building. 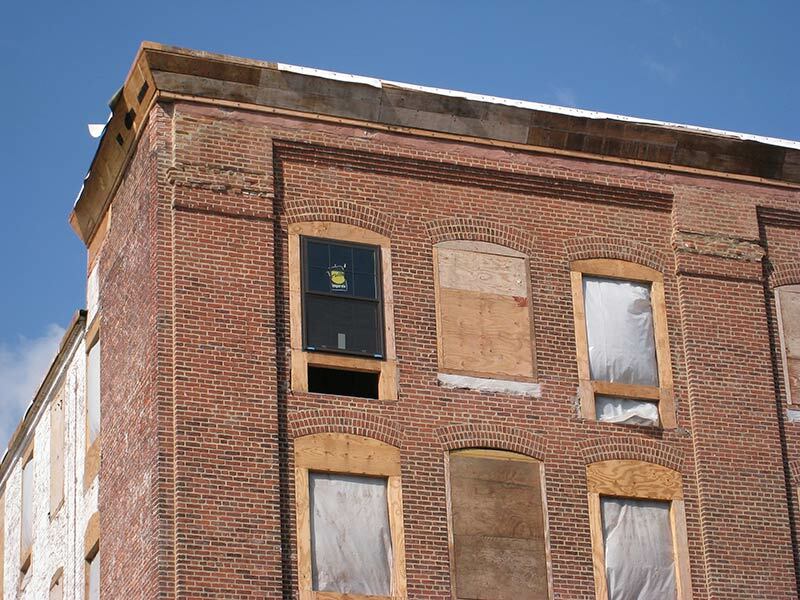 Not Recommended Not only have incompatible windows that do not fit the size and shape of the historic window openings been installed, but the original openings have also been shortened to install through-the-wall HVAC units. 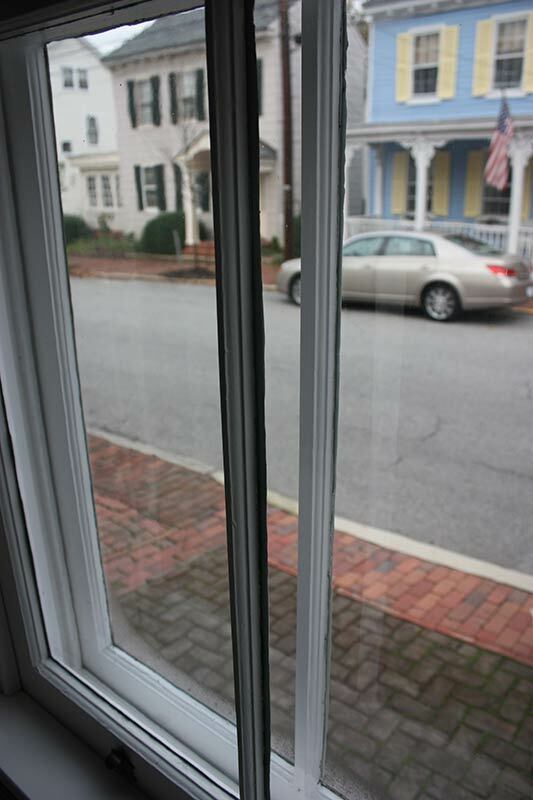 Not Recommended Ill-fitting exterior aluminum storm windows viewed from both inside and outside are clearly not energy efficient. 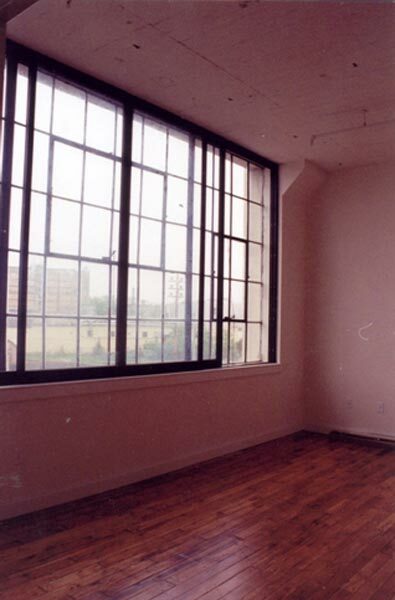 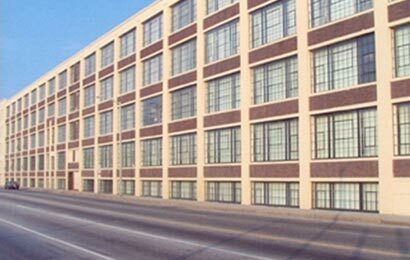 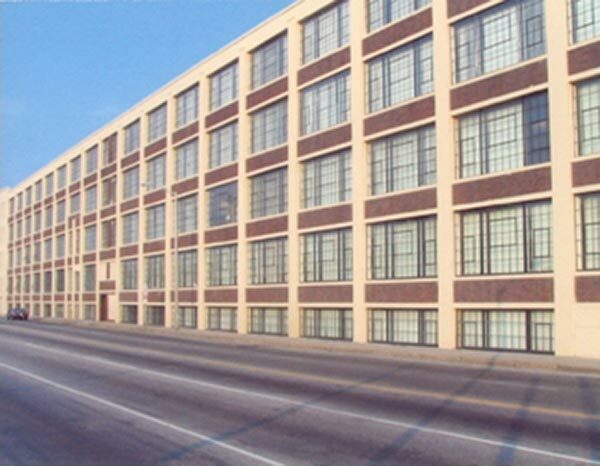 Recommended Original metal windows were appropriately repaired as part of the rehabilitation of this historic industrial building. 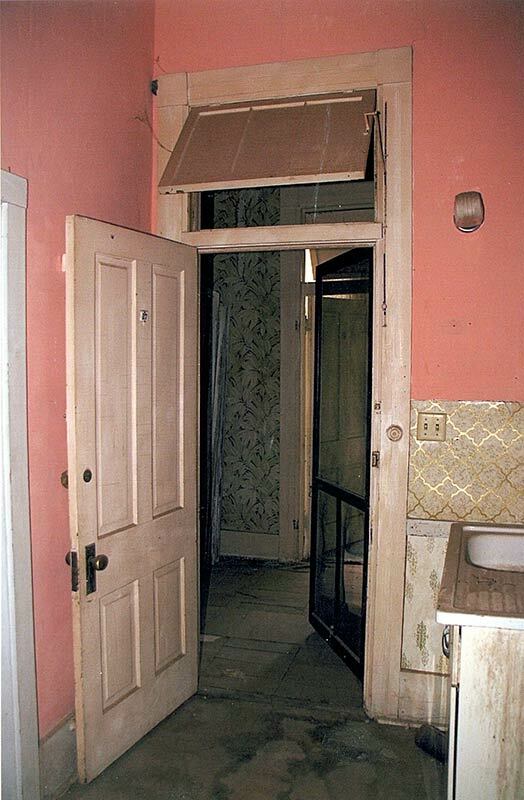 Before rehabilitation. 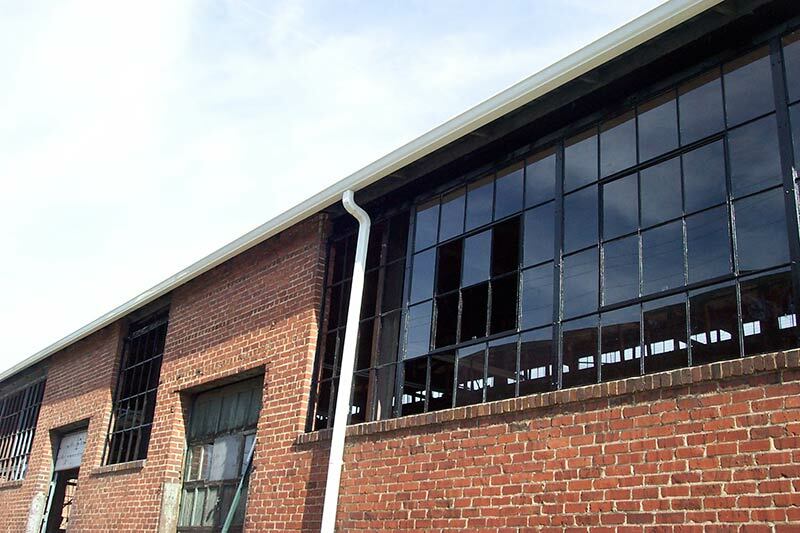 Recommended Original metal windows were appropriately repaired as part of the rehabilitation of this historic industrial building. 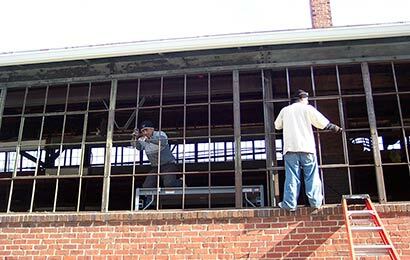 During rehabilitation. 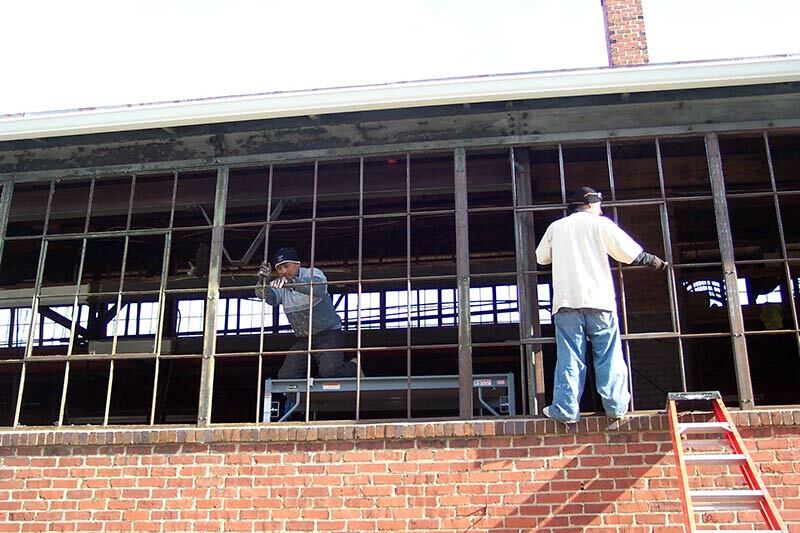 Recommended Original metal windows were appropriately repaired as part of the rehabilitation of this historic industrial building. 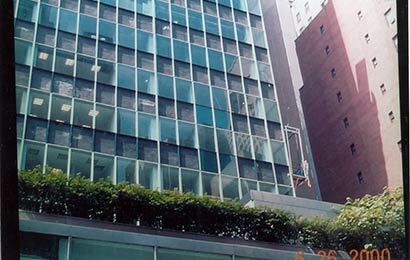 After rehabilitation. 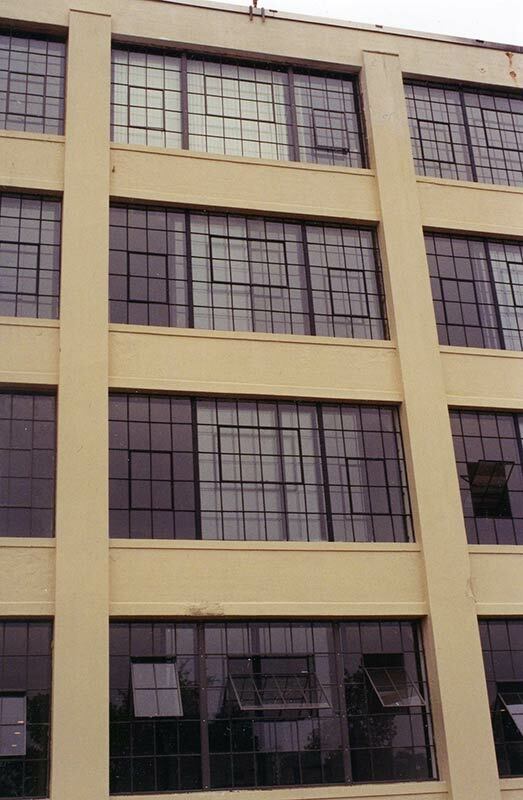 Recommended Original metal windows were retained and made operable during the rehabilitation	of this historic mill complex. 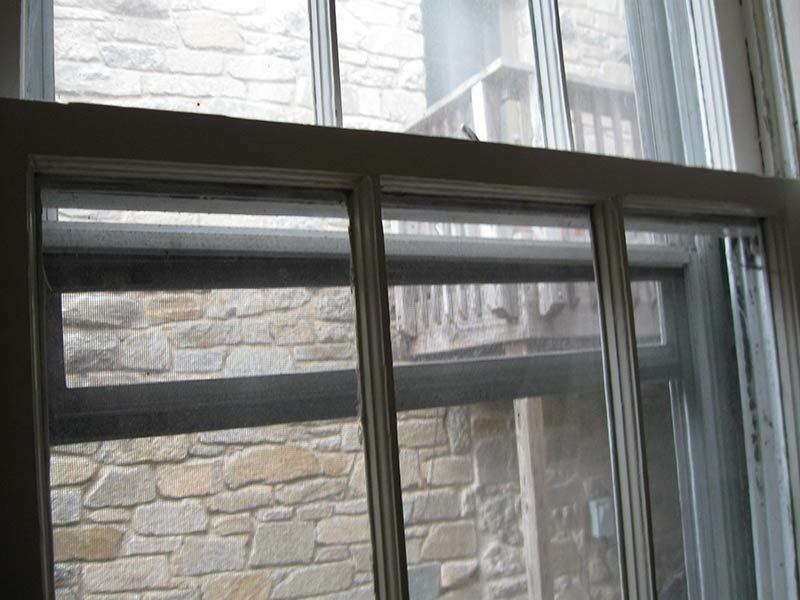 Installing patio slider doors as interior storm windows was a creative and successful solution to improve the energy efficiency of the existing windows. 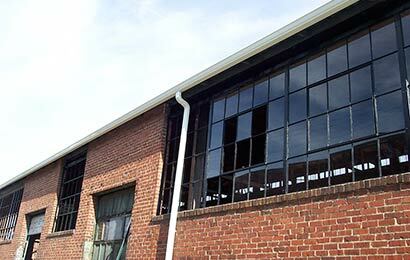 Recommended The original windows, which were deteriorated beyond repair, featured a dark tint. 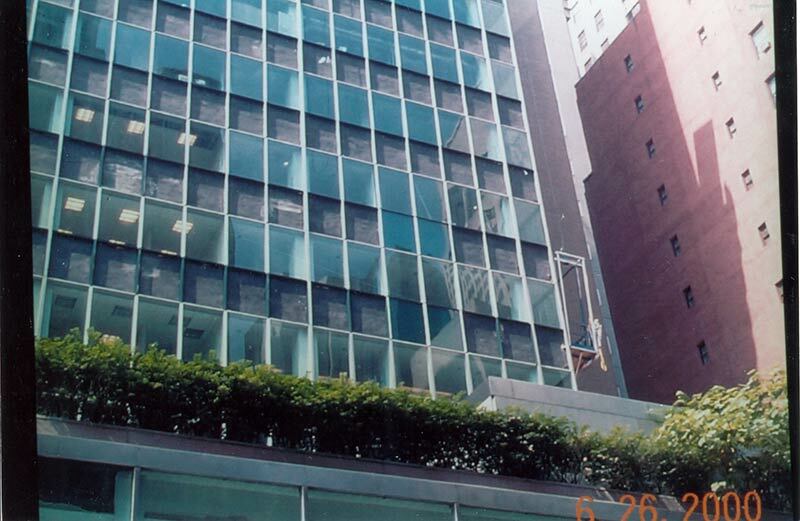 They were replaced with a slightly lighter-tinted glazing to improve daylighting in this mid-century modern office building. 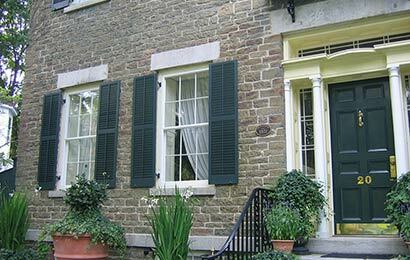 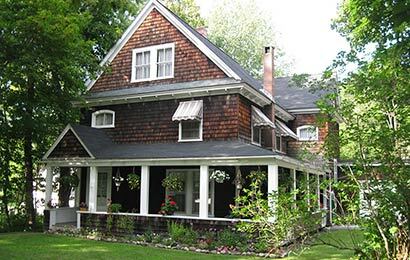 Recommended Traditional canvas awnings should be retained when they exist on historic buildings. 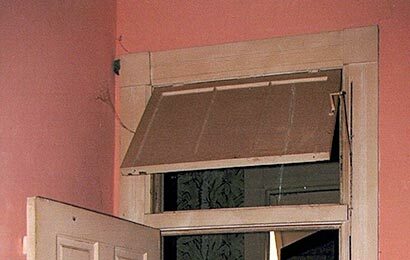 Recommended Transoms and screen doors are distinctive and practical features that provided cross ventilation in this historic hotel. 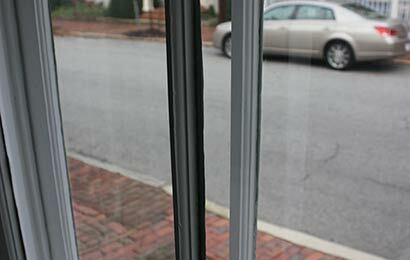 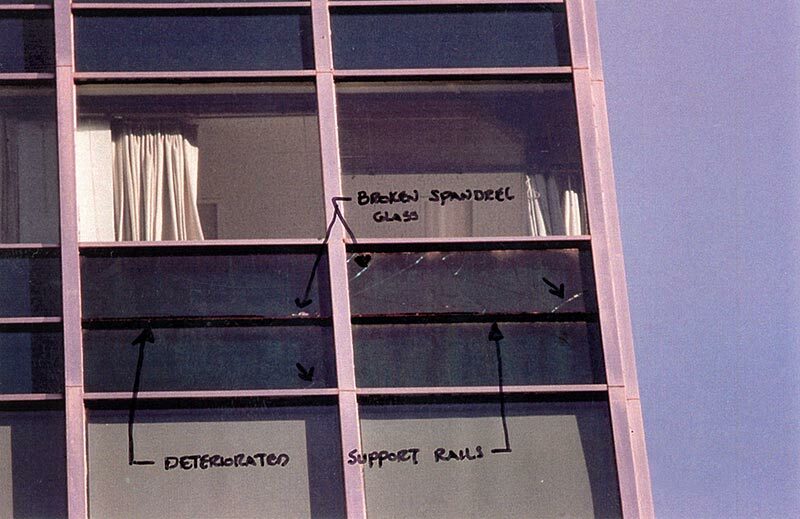 Maintaining windows on a regular basis to ensure that they function properly and are completely operable. 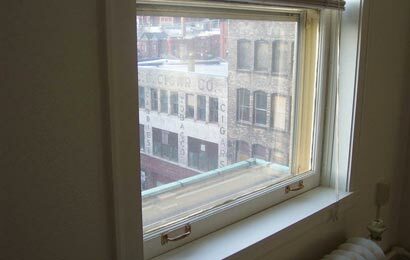 Neglecting to maintain historic windows and allowing them to deteriorate beyond repair with the result that they must be replaced. 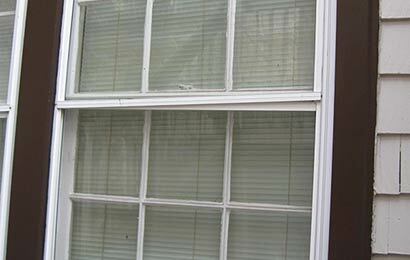 Retaining and repairing historic windows when deteriorated. 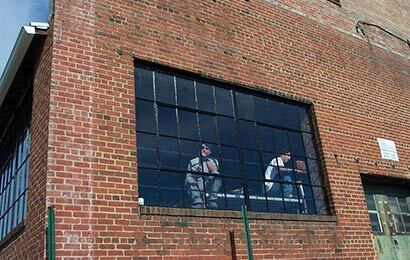 Removing repairable historic windows and replacing them with new windows for perceived improvement in energy performance. 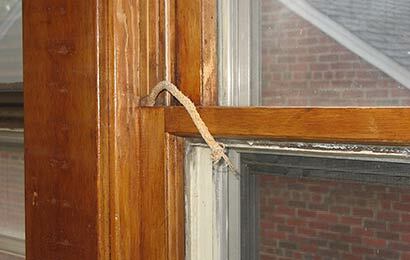 Weather stripping and caulking historic windows, when appropriate, to make them weather tight. 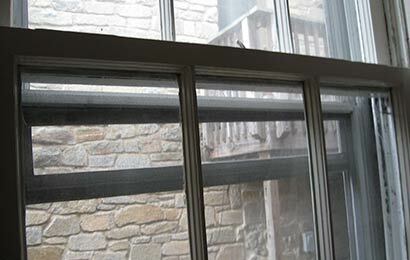 Installing interior or exterior storm windows or panels that are compatible with existing historic windows. 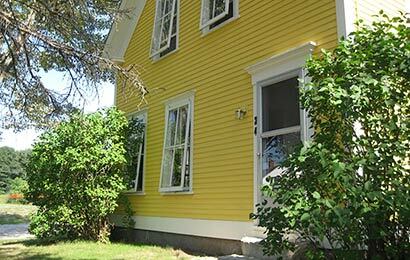 Replacing repairable historic windows with new insulated windows. 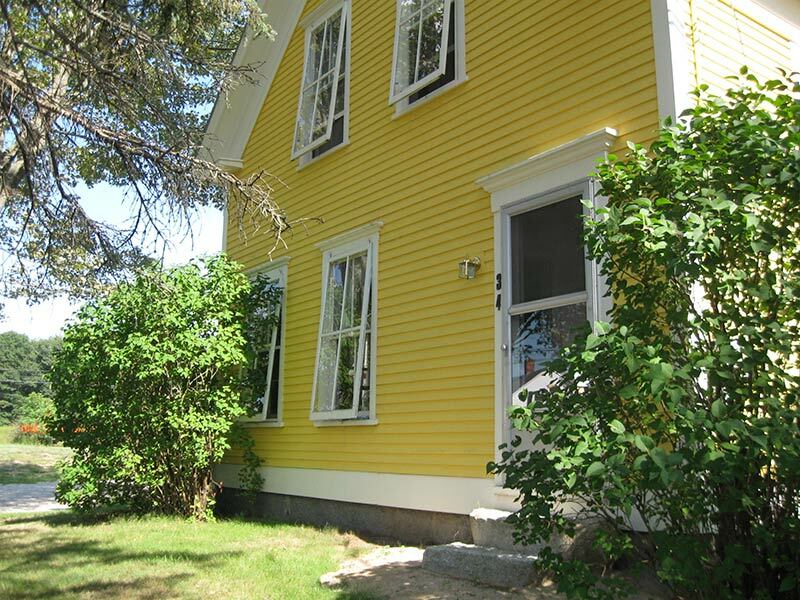 Installing compatible and energy-efficient replacement windows that match the appearance, size, design, proportion and profile of the existing historic windows and that are also durable, repairable and recyclable, when existing windows are too deteriorated to repair. 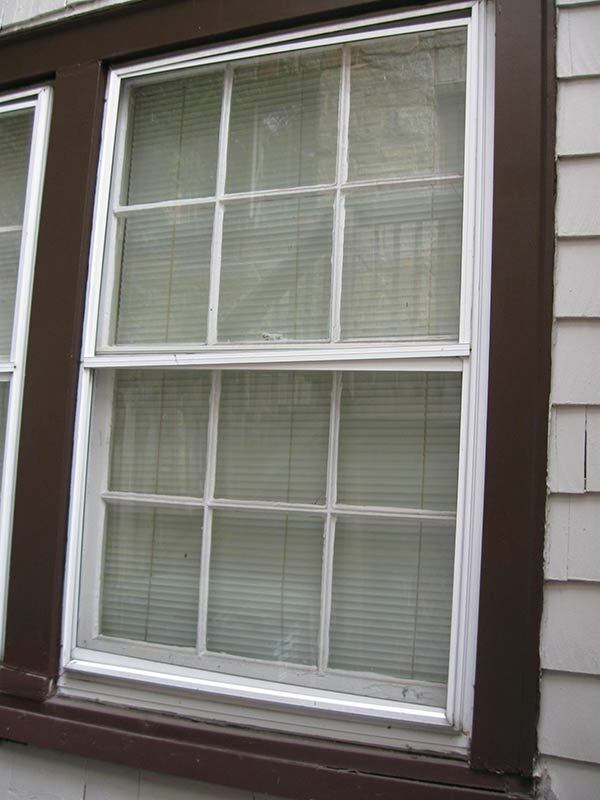 Installing incompatible or inefficient replacement window units that are not durable, recyclable or repairable when existing windows are deteriorated beyond repair or missing. 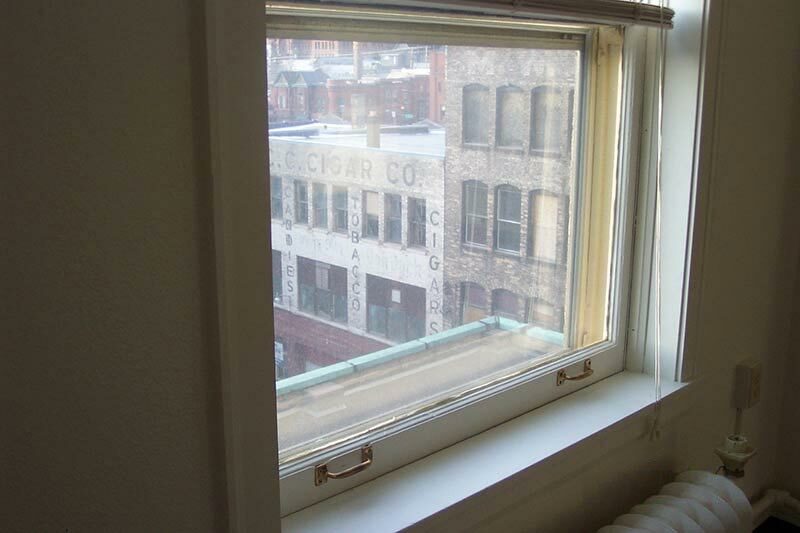 Installing clear, low-emissivity (low-e) glass or film without noticeable color in historically-clear windows to reduce solar heat gain. 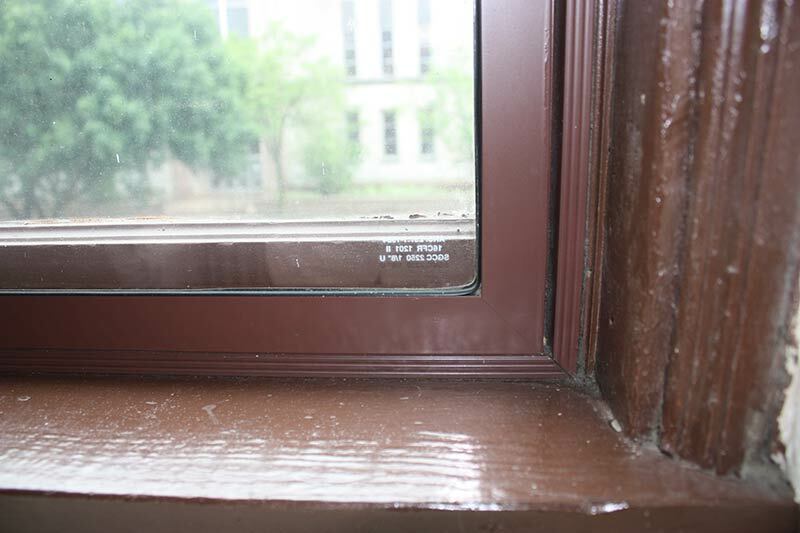 Retrofitting historically-clear windows with tinted glass or reflective coatings that will negatively impact the historic character of the building. 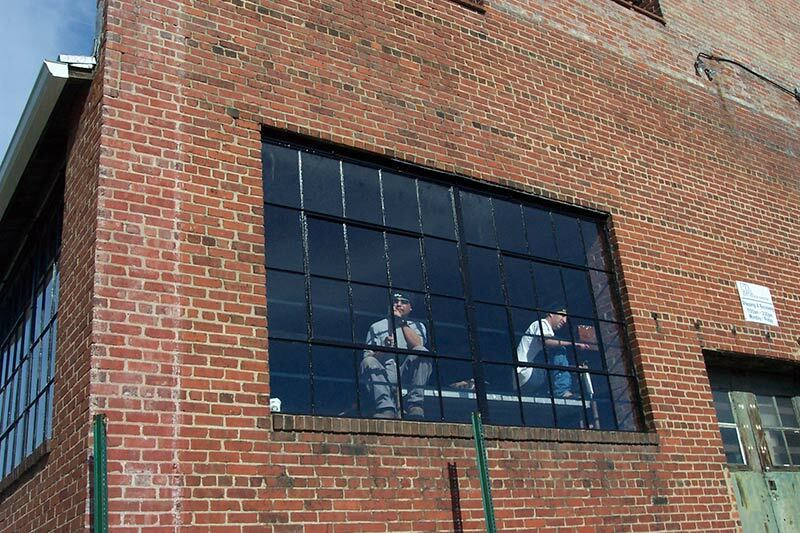 Introducing clear glazing or a significantly lighter colored film or tint than the original when replacing historically-dark-tinted windows. 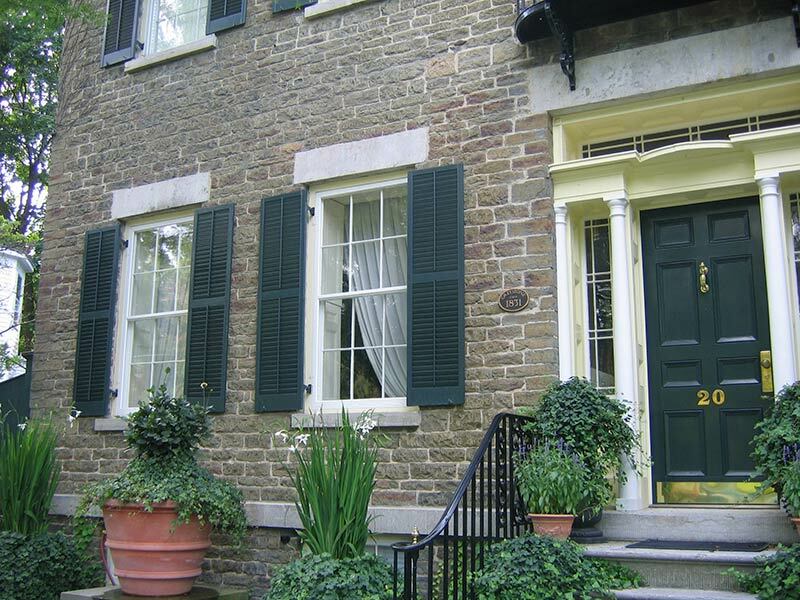 Maintaining existing, reinstalling or installing new, historically-appropriate shutters and awnings. 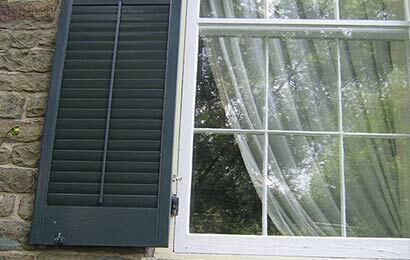 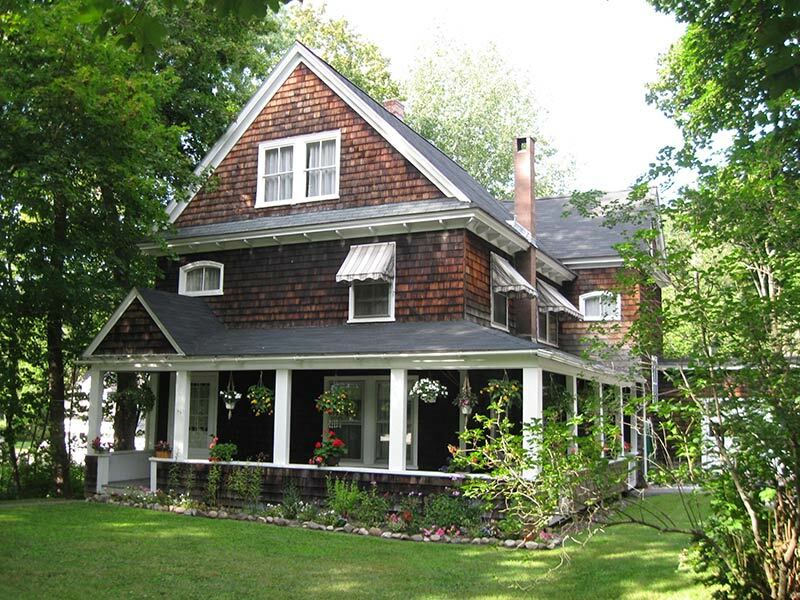 Removing historic shutters and awnings or installing inappropriate ones. 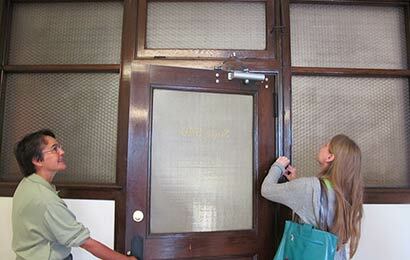 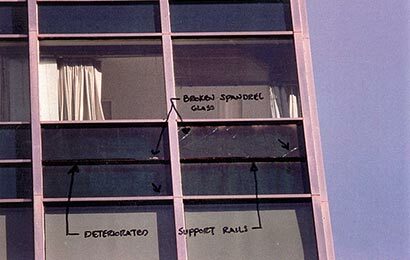 Repairing or reopening historically-operable interior transoms, when possible, to improve air flow and cross ventilation. 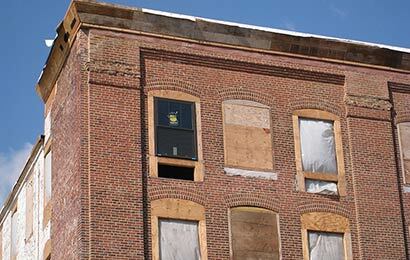 Covering or removing existing transoms.